Let’s just say me and “Lil Sis” have connections. A year ago today, a little after 10:30 pm, DJ Brown Amy (also of Queen Crescent) sent me a Facebook Message asking if I wanted to DJ a 45 minute set at Hard French. I decided enough with my shyness, to go ahead and say yes (even though I still vocalized my nervousness). DJ Carnita (also known as Tom Temprano) asked me the next day around 2 pm what my DJ Name for Hard French Promotion should be. I decided that DJ Biscuit Booty had all sorts of weird Black Male objectification issues, and sided with what has been my email/internet handle for at least the last 12 years: Larsupreme. September 25th also happens to be Dee Dee Warwick’s Birthday. In a bit of Astrology, Dee Dee Warwick’s Sun in Libra conjuncts my Mars in Libra. So it shouldn’t come as a surprise that I, all of a sudden a year ago on Dee Dee’s birthday, made an action leap from behind the scenes, blogging on the internet, moving to a spot behind turntables. To say that she’s a patron saint of my DJing career would be a gross understatement. 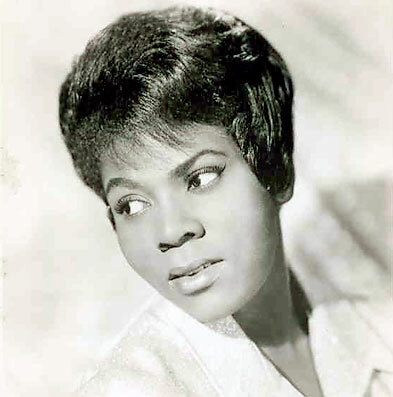 I’m sure each gig I’ve played in the last year has featured her as a soloist and most definitely as a background vocalist, given she was such a Background Superstar in between 1961 and 1966. It’s by no accident either I guess, when I started keeping a Tumblr of soul songs that this Dee Dee Warwick number was the absolute first song I posted. So I rewind to nearly 6 years ago to the song that inspired me to start keeping track, song by song, to the music I loved so much. To say Dee Dee Warwick is a patron saint of what I cherish most would be yet another gross understatement. As I start the final month of a section of my career in the Non-Profit Administration field, I need to remind myself of the optimism that gets buried in my soul quite often. To be honest I’m taking a leap into the unknown, so I need to believe that the gods, fate and time are on my side, and that choosing wisely to whom I partner off with and that I’m not facing the world alone. For reality is I wouldn’t be a DJ without the support of a number of people. I wouldn’t have made it this far in general without the others in my life. These are all lessons to consider at the beginning of Libra season. So I write these words as that ever so elegant piano driven intro spins yet again as the prayer this forgotten B-side truly is. As long as I’ve got you, and you’ve got me, and we’ve got this prayer, “We’re Doing Fine,” to quote another of Dee Dee’s classics. To brighter tomorrows, and to “Lil Sis” being a light I can count on along the way. Happy Birthday to the late great Dee Dee Warwick and Happy First Birthday to my Superhero persona DJ Larsupreme.